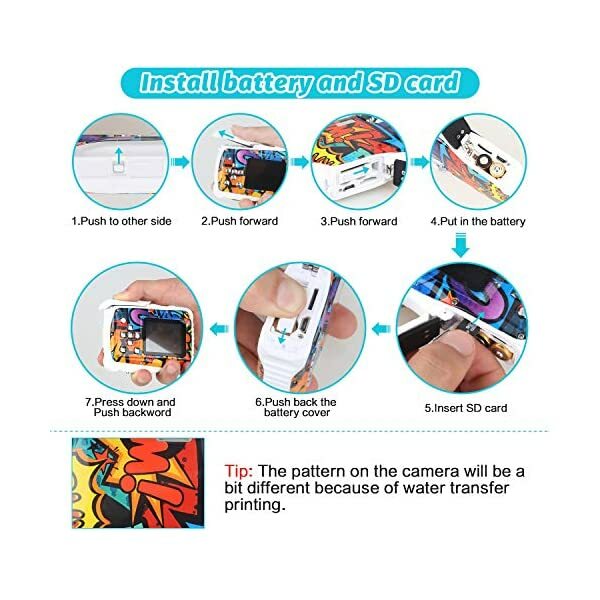 ★ Tips: The package contains 4 AAA batteries and 8GB memory card as a gift. 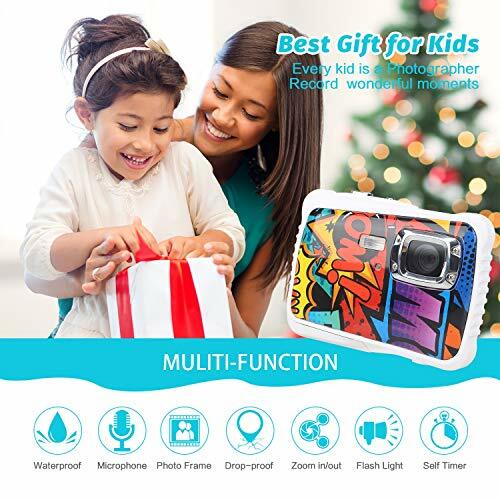 This kids camera is especially designed for children aged 6-12.★Great Gift for Kids: Cute and lovely design, small size, and easy operation, the kids camera is perfect for boys and girls who love outdoor activities and water sports to play with and to learn basic photography skills. 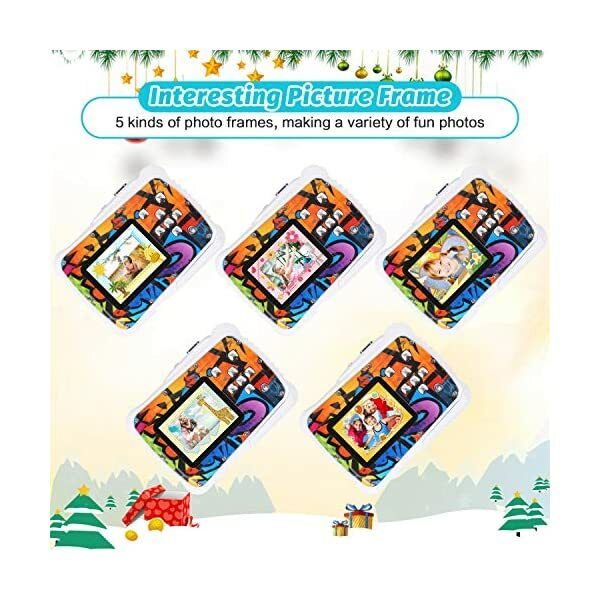 The kids digital camera is a great birthday/ holiday gift for kids and let your kids enjoy taking photos. 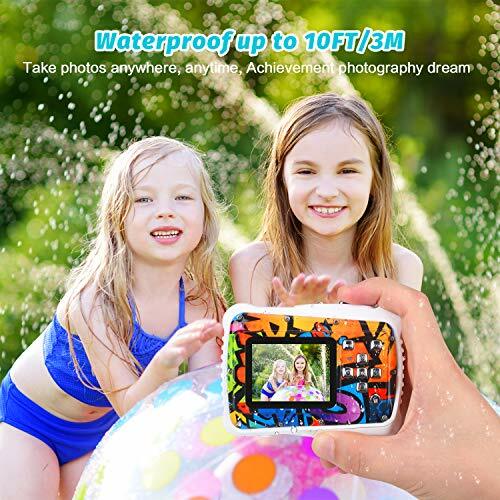 High Quality Photo Resolution: The kids waterproof camera comes with 12MP HD photo resolution, enabling kids to take great clear pictures and record HD videos. 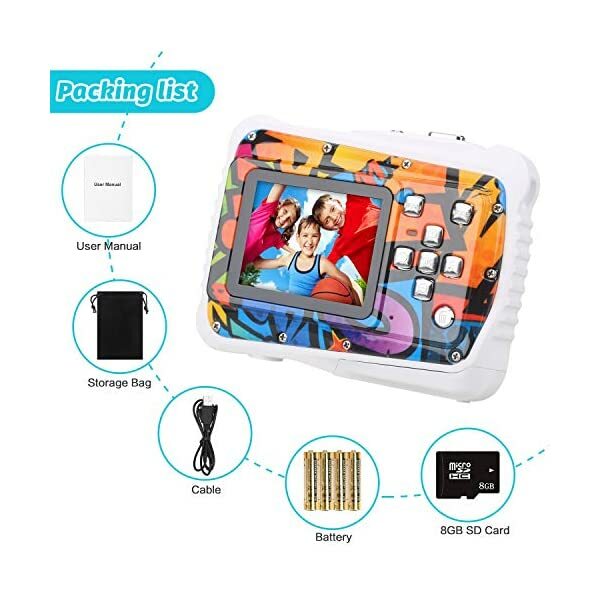 Children can use this kids underwater camera to capture all wonderful moments in their surroundings and record impressive memories in their daily life. 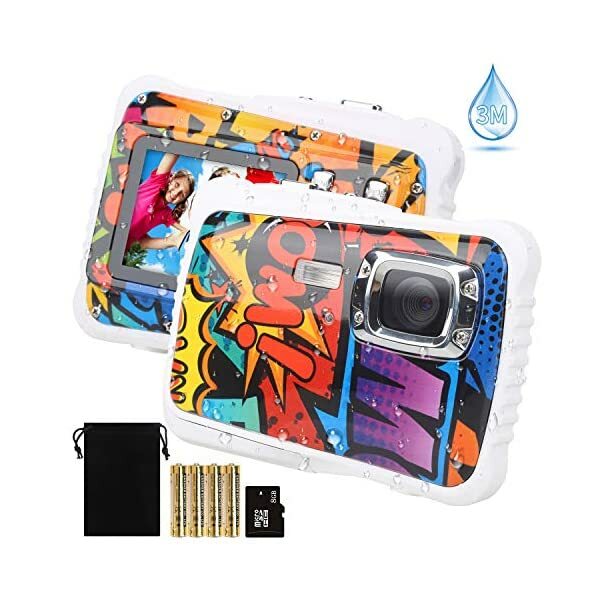 Waterproof Design: With 3M waterproof design, the underwater camera is itself waterproof and needn’t a waterproof housing. 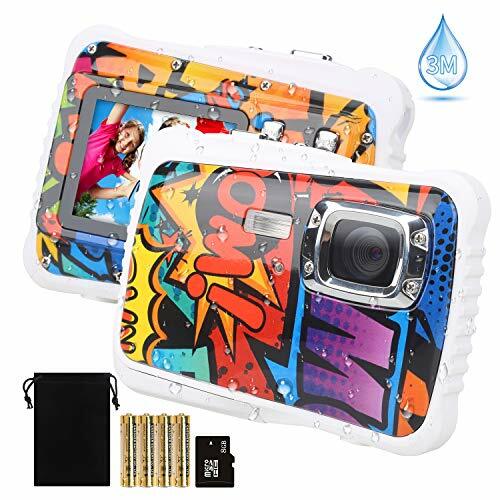 The waterproof camera is suitable for all kinds of water sports such as swimming, diving, snorkeling and so on. For waterproof concern, please make sure that the battery cover has been stuck in the slot before using it under water. 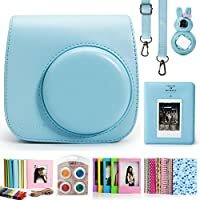 Are you still worried about that you have no idea to buy some interesting things for your kids as a birthday/ holiday gift? 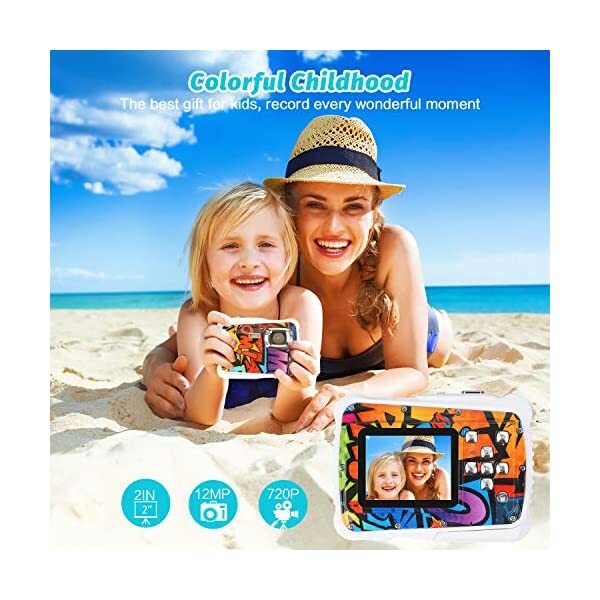 The kids digital camera will be a great choice for you and kids will love the digital camera. 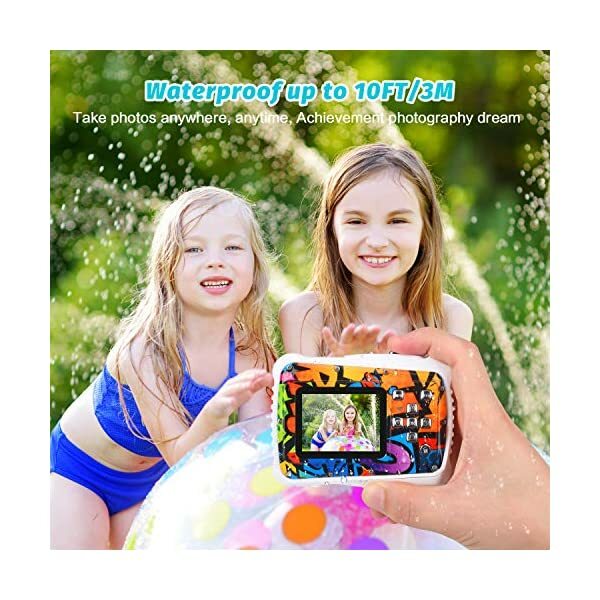 The kids waterproof camera is easy to use and convenient to take along which is suitable for kids to play and use. 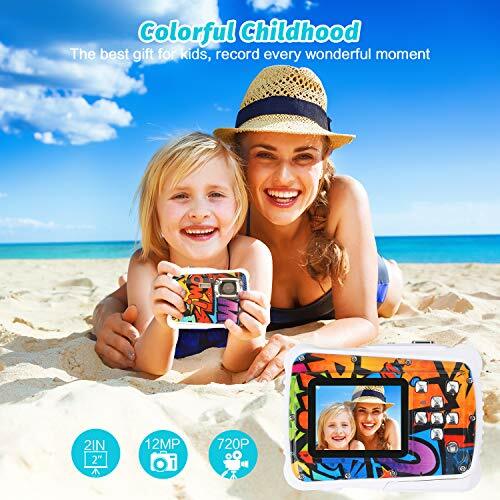 Let your kids love photography and use this digital waterproof to record all wonderful moments. 1.Please make sure battery cover has been stuck in the slot before using under water. 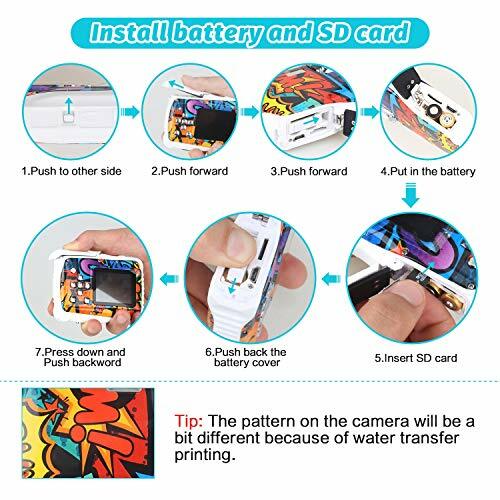 2.Batteries and SD card are included in package. 3.It will take you 2-3 seconds to take photos when you use flash. 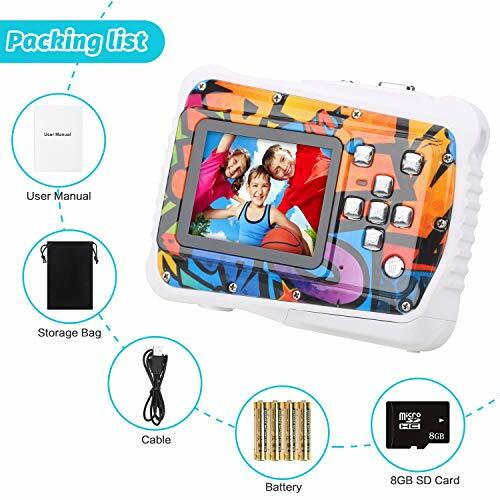 4.We provide one year warranty for this kids waterproof camera. If you have any questions, feel free to contact us. 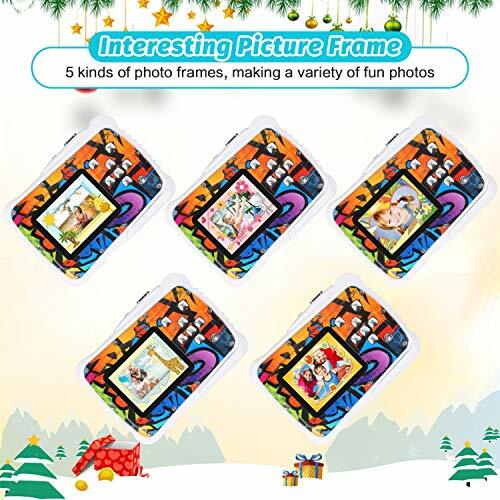 We offer lifetime technical support for this kids camera. 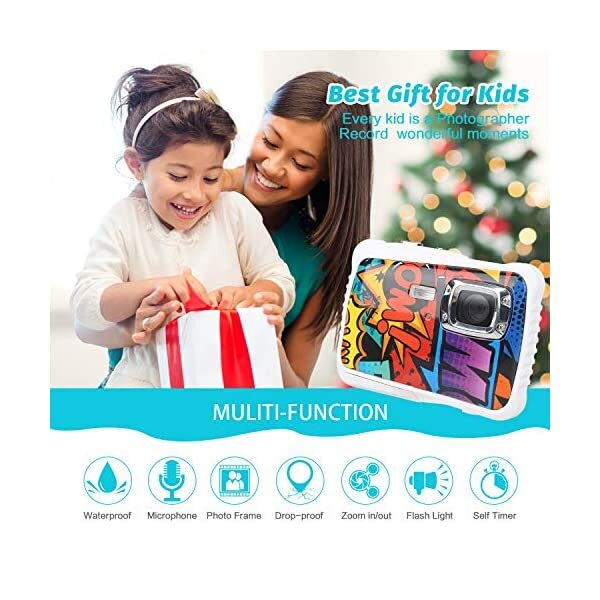 Multifunctional Kids Camera: The digital camera comes with flash, 8x digital zoom and mic. 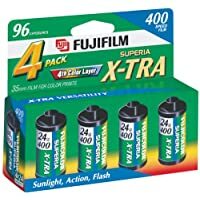 Super bright flash helps kids to capture decent pictures at night. 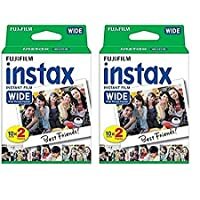 8x digital zoom and mic is perfect for taking clearer photos. 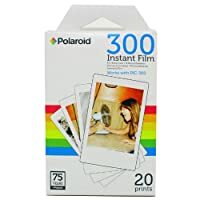 The kid camera supports SD card up to 32G and is powered by 2*AAA batteries(Both of them are included in the package). 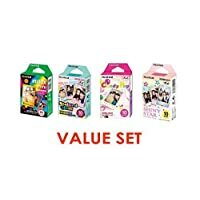 Service and Warranty: With pretty simply buttons design, the kids action camera is easy for children to operate and play with. 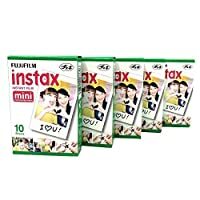 We provide 1 year warranty and lifetime technical support for the kids camera. If you have any questions or concern about the camera, feel free to contact us, we will help it out.